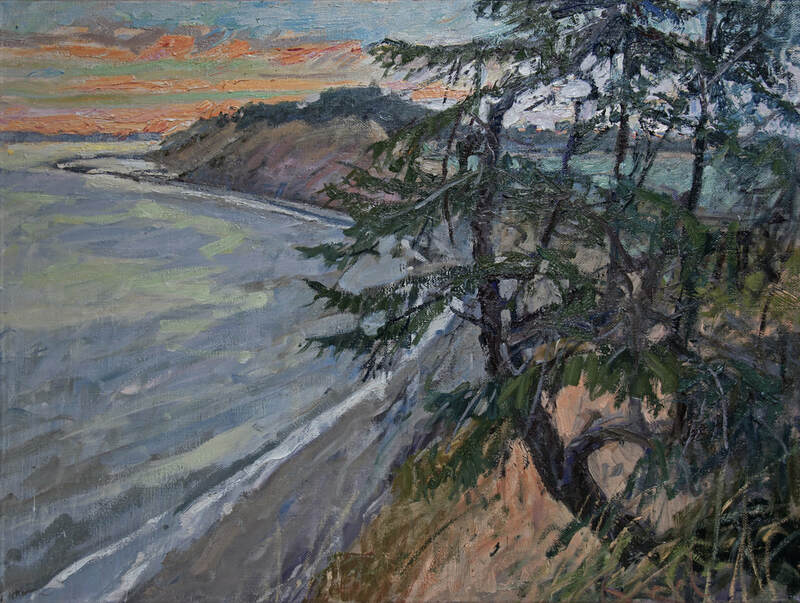 For three decades, I’ve been a colorist and plein air oil painter. Nature is my studio. My paintings are aesthetic records. Color and expressive brushwork communicate mood, and the painted surface is a landscape of its own. From Langley: take Second Street/Saratoga Road NW approx. 6 miles. Lt. on East Harbor Rd., first rt. onto Harbor View Dr. After 1/4 mi., lt. onto John Court. Studio is at top of the cul-de-sac. From Freeland: take East Harbor Rd. N for 6 mi. to Harbor View Dr. Lt. onto Harbor View Drive. Go 1/2 mi. to John Court. Right onto John Court. Studio is at top of the cul-de-sac. Whidbey Working Artists is presented by the Whidbey Island Arts Council (WIAC) a not-for-profit 501(c)3 organization (91-1147736). For more information visit www.islandartscouncil.org.